Hello Kitty party ideas in Phoenix, Arizona. 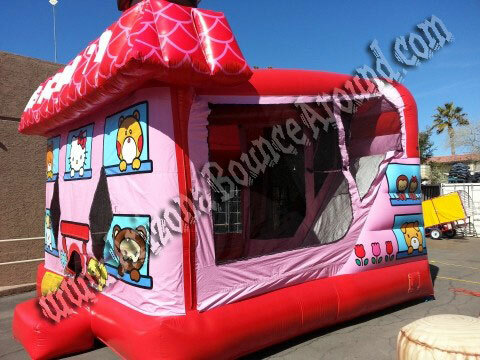 Rent a Hello Kitty Moonwalk for your Hello Kitty themed party. 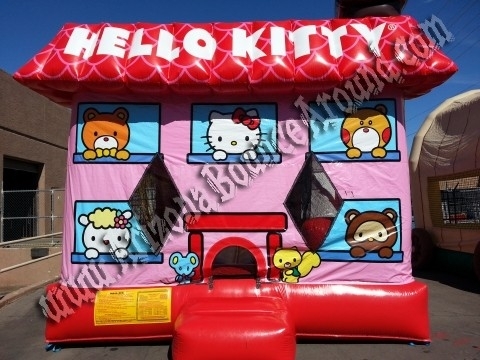 This Hello Kitty combo bounce house has a 14' tall slide, bounce area, basketball hoop and safety climb great for all ages. 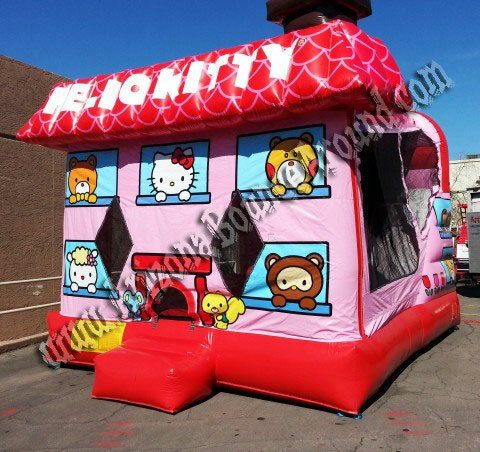 This Hello Kitty Inflatable Moonwalk rental will be the perfect addition to any Hello Kitty birthday party theme. 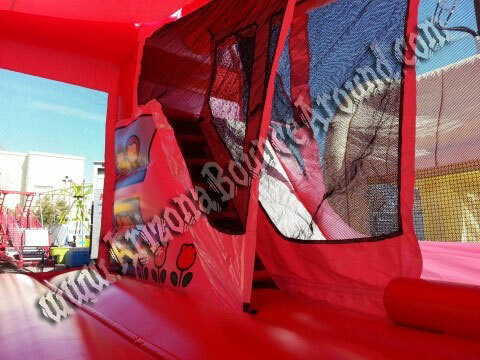 Arizona Bounce Around is the leader in clean quality themed bounce house rentals in Arizona. We also rent chairs and tables for kids and adults plus many more party rental options like face painters and party supplies. Renting a bounce house is a great kids party idea in Arizona.